The 25 grams of coffee that make our latest batch #5 such a beauty come from motherland - Ethiopia. The mouthfeel is super smooth and it has rich and complex flavors. Lots of dark red fruits characterize the taste and you will also find hints of dark chocolate. The Dimtu Tero Farm is located in the Odo Shakiso district, Guji Zone in the Sidamo region of Ethiopia. The integrated small-scale farmers are located at Odo Shakiso district in the following five villages: Tero, Jelewo, Anona, Mancity, Hangadi. Coffee production and processing are done in an organic, socially responsible and environmentally friendly manner. This practice has been verified by BCS OKO as well as NOP, EU and JAS Organic. In total the Dimtu Tero Farm comprises 136 small-scale coffee farmers who collectively own 989 hectares. The trees of the farm lie quite high at 1800-2130 meter above sea level making for a slow growth and intense, sweet and fruity flavor. The variety is mixed Ethiopian heirloom. In Ethiopia there are between six and ten thousand coffee varieties, all unidentified varieties are labeled as Mixed Heirloom varieties. The natural processing of the Dimtu-Beans is very interesting and has a lot to do with how your bottle of 25 Grams tastes. The natural or dry processing basically means that you dry the beans without depulping and washing them before. This leaves the full coffee cherry for a couple of days lying in the sun and drying before the coffee is mechanically depulped to get rid of the fruit flesh. During this period fermentation takes place and that affects the taste big time. For the farmers this process means more work because they carefully have to watch and turn the coffee to prevent it from getting mold. At the same time it is better for the environment because you do not need tons of water. If you taste a natural processed coffee you are rewarded with rich floral and fruity notes and the coffee offers even more body than a washed one. And that’s exactly what you can taste in your batch #5 bottle. A smooth mouthfeel highlighted by dark fruity and cherry notes accompanied by hints of dark chocolate that stay there for quite some time. Yesss! Like with batch #1 and #2 we partnered again with white label coffee from Amsterdam. They did an awesome job the first two times so why not give it an another shot. 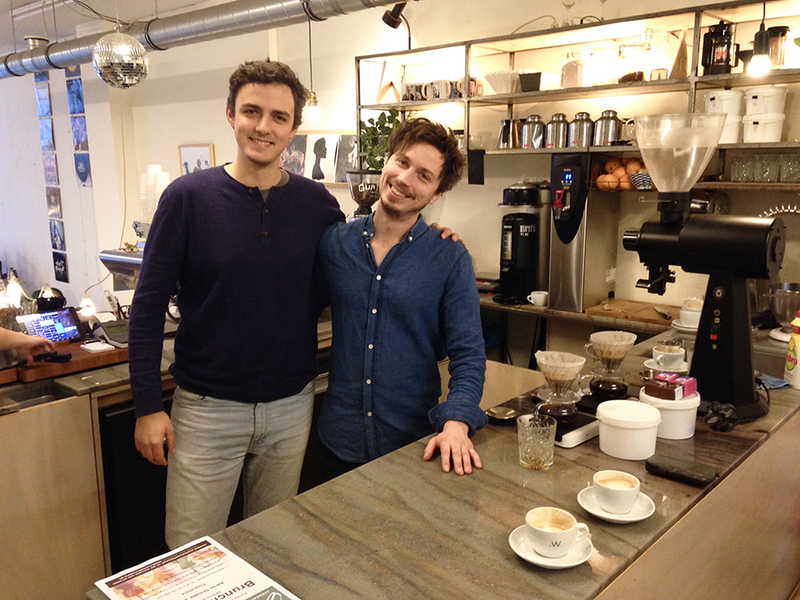 Elmer and Francesco developed the beans using a light to medium roast profile. This highlights the the terroir of the natural Dimtu and ultimately a superb body full of dark red fruits that is smooth and fresh af.